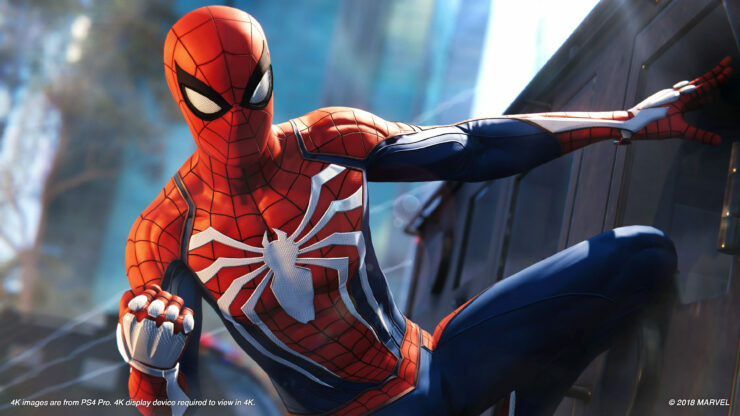 In a recent group interview at a press event (transcribed by Italian website Everyeye), Bryan Intihar (Creative Director at Insomniac Games on Marvel’s Spider-Man) addressed the elephant in the room when it comes to superhero games: Rocksteady and its Batman Arkham trilogy. The Kentish Town-based studio delivered three stunning games with Asylum, City and Knight in the span of six years, between 2009 and 2015. All of these titles were extremely well received both by the press and the players, but more importantly, Rocksteady proved that superhero games didn’t have to be rushed movie tie-ins. It’s understandable, then, that Intihar would say Insomniac’s objective is to be at their same level with Marvel’s Spider-Man. Intihar then discussed how hard it was to nail down the game’s plot and Mary Jane’s role in particular, which is different from the one seen in most of the comics. […] I looked back and thought: ‘How was it when you graduated? What did you do?’ I’ve been a journalist, it was one of my first jobs. During college, I wrote about video games and I remember that the Editor in Chief was very important to me, as I was searching for a guide. So I thought: who could be that kind of character for Peter? Obviously, it had to be a known character since a mentor has to be relevant. Then I also reflected on how my life changed back then. Friendships and relationships change a lot from high school to college since you often move elsewhere, start doing new things and grow up as an adult. For some, it becomes all about the career and friendships are sacrificed for that, as happened to me, but it’s an age where you feel like you can do everything even though you realize it’s actually not possible. So, what else could we have her doing? I imagined she could be an investigative reporter, possibly looking into these Inner Demons and what’s happening in New York now that the Kingpin, AKA Wilson Fisk, is out of the game. Ultimately, it was more about deciding what we wanted from Peter and his journey. Mary Jane’s role came as a result of that, to balance everything out. Marvel’s Spider-Man is now less than a month away from its release date, set to be available on September 7th exclusively on Sony’s PlayStation 4 console. Are you planning to buy it? Let us know in the comments.